One of the main challenges for electricity companies is meeting a demand for power that is constantly changing. This occurs on a daily basis, according to the schedules of homes and businesses, and also on a seasonal basis due to the changing temperature. Electricity consumption reaches its highest point of the year during hot summer days, due to the large number of air conditioning systems running at full capacity. 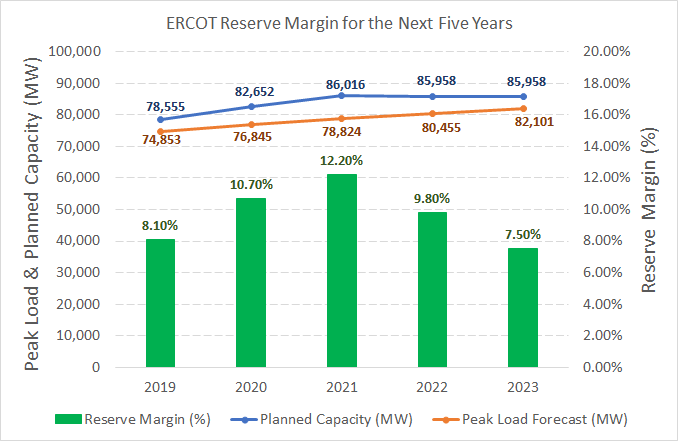 The Electric Reliability Council of Texas (ERCOT) uses a metric called the reserve margin to compare the available power supply with the expected demand. Basically, the reserve margin is the difference between supply and demand, expressed as a percentage of supply. For example, if the expected demand is 1,000 MW and the power network can deliver 1,200 MW, the reserve margin in 20%. Generation, transmission and distribution companies planned their maintenance activities when they would not compromise the power supply, following the recommendations of state regulators. The high demand for electricity increased kilowatt-hour prices in the wholesale market, and this provided an incentive for power companies to maximize their output. Wind and solar farms exceeded expectations, producing more power than expected. Consider that the output of these resources is variable and difficult to predict accurately, so conservative estimates pay off. Renewable energy systems in homes and businesses have also helped reduce the burden on the power network. Registered installations added up around 244 MW of capacity, while unregistered systems added up around 181 MW (registration is needed when the installed capacity exceeds 1 MW). What Is the Outlook for Summer 2019 in Texas? 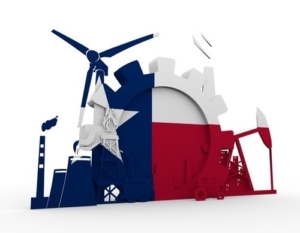 According to ERCOT, the reserve margin will be thinned down to 8.1% during summer 2019, and this can be attributed to the growth of the oil and gas sector in western Texas. The expected load for the entire state is 74,853 MW, surpassing the 2018 peak by almost 1,400 MW. ERCOT estimates that the West Texas load will increase by around 8% per year through 2023, while the statewide load only grows by 2% annually. Most of the activity has concentrated in the Permian Basin, a region with sizable fossil fuels reserves and plenty of fracking activity. A significant portion of power demand from the oil and gas sector can be attributed to large-scale pumping and compression equipment. At the same time, several power generation projects have been cancelled or delayed, and this has closed the gap between expected generation and consumption for the next summer. The cancelled projects include 1,763 MW of gas power and 1,069 MW of wind power, while the delayed projects have a total capacity of 2,485 MW – including gas, wind and solar power. Upcoming investment in power generation will broaden the reserve margin to 10.7% in 2020 and 12.2% in 2021, before shrinking again to 9.8% in 2022 and 7.5% in 2023. ERCOT published its latest report early in December 2018, but there are two additional reports before summer, scheduled for March and May. Depending on how the energy industry behaves over the next few months, the forecast may change. Consider that a tight reserve margin drives of electricity prices in the wholesale market, and these are reflected as higher electric rates for the end user. A smart strategy for homeowners is getting a long-term electricity plan at fixed price, which prevents cost increases during summer.